PES 2014 was being developed with six key elements in mind, that will define the physics and the features of the game. PES 2014 will center everything on the ball: how it moves, and how players use it. Physics of the ball, stature of the player, speed and height of the pass, everything will be taken into account to recreate the most realistic football experience on a home system. Players will be an important part of the game with Motion Animation Stability System (M.A.S.S. ), that will increase the realism of physical contacts between players, tackles and decisions taken on the pitch by the AI to have more open games. The audience will have an influence on the performance of the team. On the pitch, the performance of an individual player, good or bad, will also have an effect on the team, giving them a moral boost if he has a moment of individual brilliance; or forcing his teammates to support him if he is not doing well. Introduced in PES 2013, the Player ID system recreated faithfully the movements and skills of about 50 star players. In PES 2014, that number is increased and will also apply to complete squads to replicate a team's playing style. With the new Combination Plan, users will be able set up a variety of different tactics in key areas of the pitch using three or more players. These players will make very different runs to exploit holes in the defense or midfield, using the flanks, curved runs, or overlapping play to make themselves available. New for this year, players can now change teams in the Master League and coach a national side. Players are also able to create 3rd and 4th kits. Some third and fourth kits are official. The PS2 version has the same characteristics of the other versions. UEFA Europa League also appears as a single-mode. 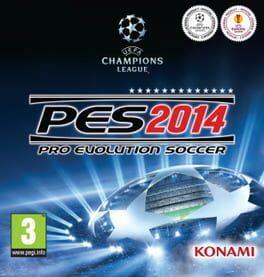 Pro Evolution Soccer 2014 is available from 12.99 to 12.99 from 1 shops.